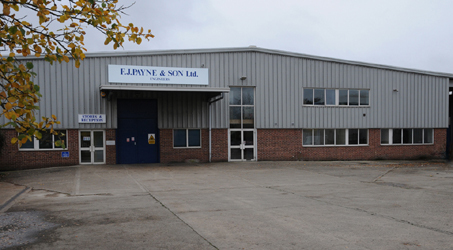 Paynes continue to play a prominent role within the engine reconditioning business, not only within Oxfordshire, Berkshire and Buckinghamshire but customers come from many other parts of the UK, particularly with specialist reconditioning such as white metalling and vintage engine restoration. We have also been privileged to work on engines that have come specifically to us from Europe and the US. Mechanical repairs are also offered to other industries, such as agricultural, plant, construction, manufacturing and printing, be it the result of general wear and tear or catastrophic failure. For more information, please see our machining services page. Supporting our engine machining services, we offer a wide range of new quality engine spares as well as access to a range of pre used engine components such as crankshafts, con-rods, cylinder blocks and heads. Our parts manager has been with us for nearly 40 years and in that time has gained an extensive knowledge, most of which has been gained from first hand experiences rather than reading it from a catalogue or computer! Cylinder head refacing or skimming, pressure testing and general cylinder head reconditioning, including valve guide replacement, seat recutting and valve refacing are all catered for, from a single operation to a complete cylinder head reconditioning service. Tappet shims are making a return and therefore tappet resetting is on the increase.